Would you like to have lunch or seated dinner in a unique setting? What's better than a gourmet cruise in the heart of Paris?! 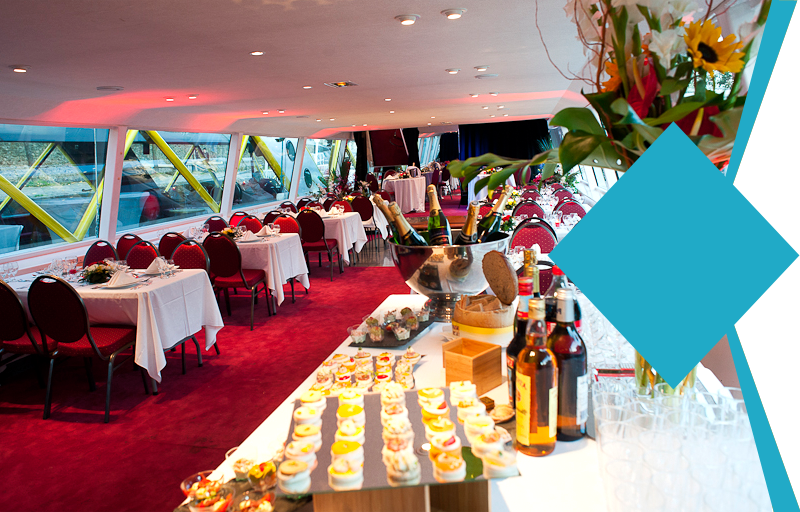 We invite you to admire the most beautiful monuments of the capital while enjoying a tasty meal. Canauxrama created complete and original packages for you to spend a pleasant and friendly boat experience. A lunch or dinner cruise in Paris is one of the Parisian activities that you must experience at least once in your life. 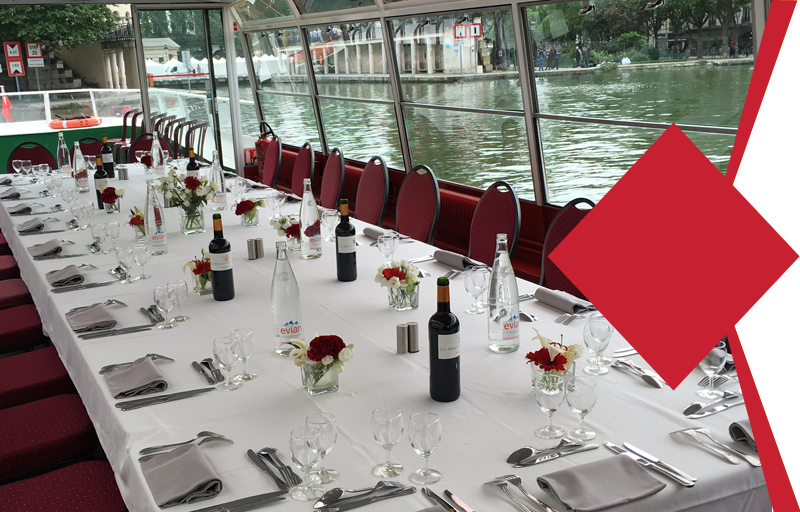 Canauxrama invites you to discover Paris from the Seine or the Parisian canals during a private cruise to celebrate your event with family, friends, colleagues, for your birthday or for your wedding. Our all inclusive deals, allow you to plan a private lunch or dinner in Paris no matter what your budget is! Most of our boats have outdoor terraces and decks, which will allow you discover the most beautiful city in the world during the aperitif or after dinner. In addition to the boat rental and the chosen catering our sales team will suggest, to complement your lunch or dinner private cruise, some extra amenities such as decoration, entertainment, and all the extra equipment needed to fulfill your event's expectations. Trust the experience of Canauxrama, you will not regret it! Very nice cruise and staff : we particularly appreciate the hotel waiters who have filled us with their kindness and their presence.